Chastity Brown – Silhouette of Sirens – Album Review | The Ark of Music – The best music in the world…you never knew existed. It was June 7th, 2014. A few of us were headed to Ed’s bar in Winona, MN to catch a show by one of my favorite groups, The Ericksons. They were the 2nd of three acts that night. And, as always, their set was amazing. Back then, I was paying the bills by doing landscaping around 60 hours a week. Why do I mention this? Because after the Ericksons finished that night, I would’ve been content to leave as it was well passed my bedtime. But, as fate would have it, my sister, Heather, convinced me to stick around for the 3rd and final act…somebody named Chastity. “I’ve got a good feeling about her,” Heather said. Minutes later, there on Ed’s humble stage, armed with nothing more than a mic, a guitar, a couple effect pedals, and that signature hair…was Chastity Brown. (See pic below.) Just moments into the show I was spellbound—and I wasn’t the only one. Then, at some point in the middle of her set she performed “Drive Slow”, and for me, it was over. You see, admittedly, it’s damn hard to get on my “must see” list. I’m a bit of a music snob. Check that, I’m a complete music snob. But I think it’s okay to feel that way about music. 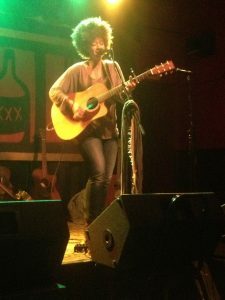 After all, “We believe music can change the world—even when no one is listening.” Anyway, there’s less than ten acts on that “must see” list, and Chastity cemented her spot that night. I’ve waited almost three years to be able to own and listen to an official copy of Drive Slow. Now, with the release of her new album, Silhouette of Sirens, the Minneapolis-by-way-of-Tennessee native has made it possible. The production on Wake Up is uniquely and immediately stunning (particularly the percussion). As the song moves from verse to chorus, there is a transition from desperation to hope, and back again. It all speaks of being close—so close—to getting everything; and of being charmed into believing that one can love enough for two. It’s another beautiful song. Whisper flows, thick and rich, from your headphones and drips from the tip of your earlobes. Chastity’s vocal harmonies are divinely deluxe, and dare I say, Prince-like. Sometimes, it’s just not complicated: This song is for nighttime, for bedtime, and well, you get the idea. It’s difficult to know to whom Chastity sings in the album’s gorgeous, minimalist closer, Lost. Perhaps a lover, perhaps her deity, perhaps herself. Hopefully, mentioning it doesn’t diminish the spirit. That said, it is this kind of vulnerability which not only makes art great, but also connects that art to others. To burn inside, what’s the world see? A pile of ashes, or a bird that’s flown? Silhouette of Sirens was worth the wait. Records like this have become essential in our time. For, it is this kind of music that offers an alternative path to today’s low-on-substance culture. It is music like this that provides evidence that the phenomenons of heart, independent thought, and true courage are still alive and well, and not driven fully from our consciousness. 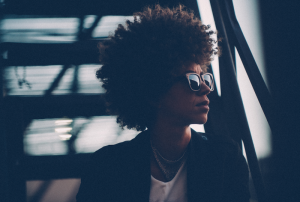 You see, contrary to the current pop-culture’s belief, one cannot “try” to be relevant—despite the fact that there are many who claim to be relevant, or declare themselves as relevant. Fact is, one can only be honest. And, that takes guts. Chastity has guts. 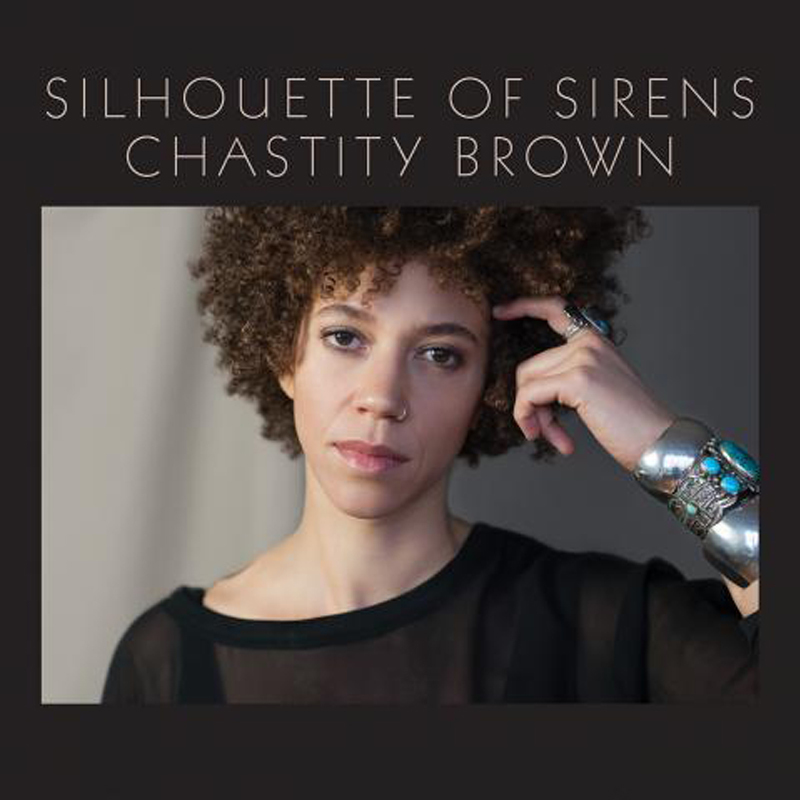 BELOW, you can listen to music from Chastity Brown’s new album, Silhouette of Sirens, connect with her website and social media platforms, watch her music video, check out her live show/tour schedule, and find her booking & contact information. Please support Chastity Brown by visiting her online, and playing, downloading, and/or purchasing her music. And, as always, thank you for supporting real music!